NOTE : Minor restricted driver license (hardship license) applicants cannot schedule driving tests online. Those tests must be scheduled in an office. If you are not part of the two above groups, you cannot schedule online at this time. Please visit a driver license office to schedule a driving test appointment. PREPARING FOR YOUR DRIVING TEST please carefully review the steps to apply for a driver license (http://www.txdps.state.tx.us/DriverLicense/ApplyforLicense.htm) to prepare for your visit to the driver license office. Go through the Texas Driver's License over 18 Checklist Over here. 1. Your Texas learner license or Texas driver license with B restriction. 2. The driving test fee (http://www.txdps.state.tx.us/DriverLicense/fees.htm) or the payment receipt if you already paid. 4. If you’re under 18, a Verification of Enrollment (VOE) form, high school diploma or GED. NOTE: Having a current inspection sticker and two license plates is not required if you are borrowing a test vehicle that is from a state that doesn’t have these requirements. If the vehicle belongs to you, you must comply with all requirements before you can test with it. If you use a rental vehicle for the test, the person taking the driving test must be listed on the rental agreement as an authorized driver. You must show proof that the rental vehicle is covered by liability insurance either by accepting the liability damage waiver when you rent the vehicle or by showing proof that your personal auto liability insurance covers rental vehicles. Please arrive one hour early for your appointment for processing and/or payment. If you do not arrive one hour early, your appointment may be rescheduled. Appointments must be scheduled using the customer's Texas driver license number or learner license number. Otherwise, the appointment will be canceled. Customers may only schedule one appointment. Individuals must schedule their own appointments; driving schools may not schedule them. Duplicate appointments will be canceled without notice. 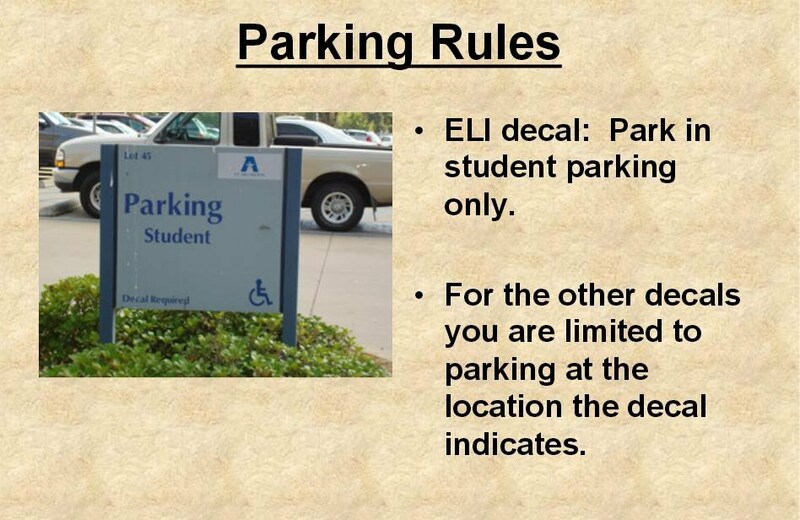 In Texas, the first part of driving test is the parallel parking and it will be held in the DPS office parking area. 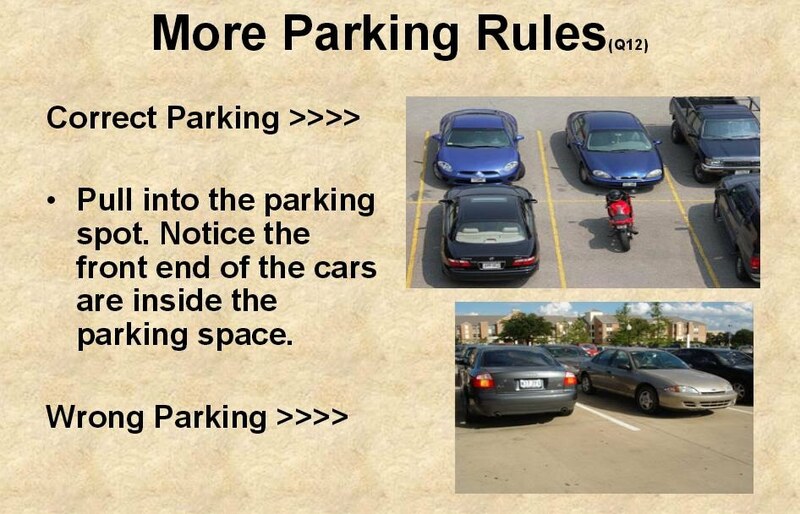 You will be asked to park the car in between two poles beside the curb. Make sure you practice your parallel parking well, because if you hit the pole, you will fail automatically. Remember to signal as well. The area is 6 ft wide by 25 ft long, you must be between 6-18 inches (no more than 12 to 18 inches) away from the curb. All tires must be within 18" of the curb without hitting the curb. In general, the distance between the pole is 26 feet apart longwise and 8 feet from the curb. Set up a parking lot and practice. You can pass on your first try. 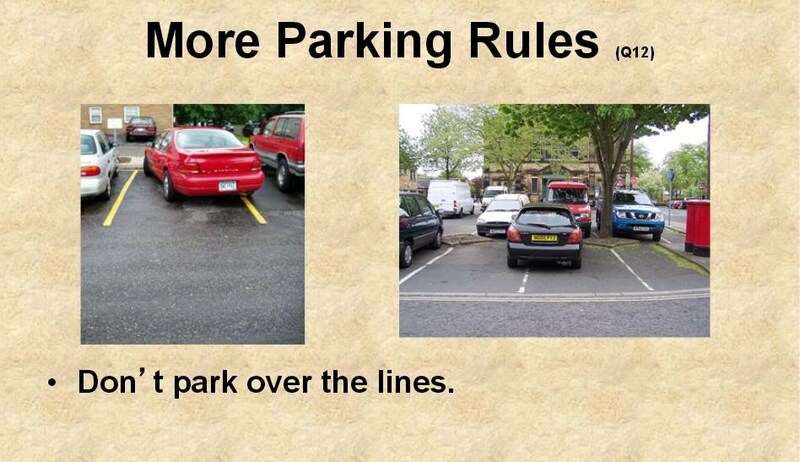 Parallel parking shows how good you are in controlling the vehicle. They don’t require “perfect” parallel parking. At different DPS locations, the parallel parking spots are all the same because they maintain everything as standard as possible. Learn pull push steering technique. Remember don’t hit the curb nor the pole. Just be prepared to see a lot of stop sign and intersections. Know the road limits before doing the road test and don’t go too fast AND too slow! 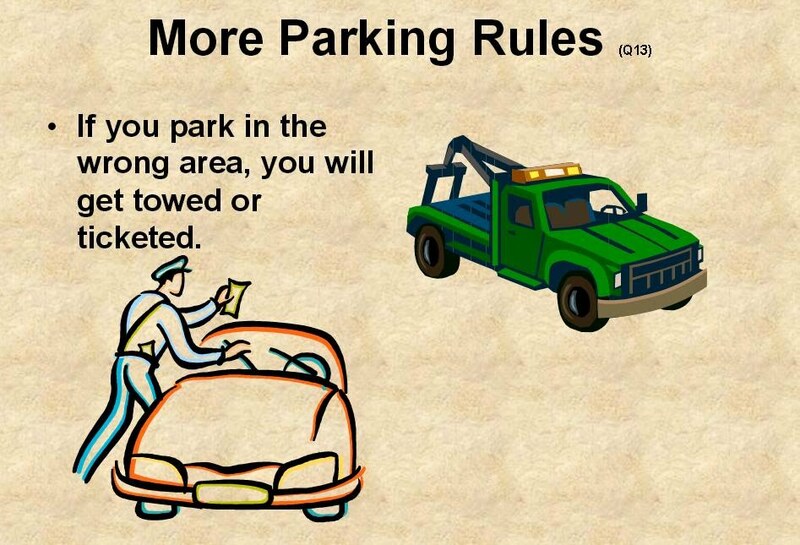 The parallel parking requirement does two things, one you need to be able to do this for those rare occasions. Second it shows, the driver has control of the vehicle and make it go where they want. Learning it makes you understand vehicle movements. However when you travel different places, you usually do it daily, both on the right and left. If you were unable to parallel park you'd have been screwed. How many times can you take the driving test in Texas? OR If you fail parallel parking Texas? OR Can you fail parallel parking and still pass in Texas? If 90 days have passed since your last driving test, or if you've failed the test three times in 90 days, you'll have to file a new application and pay the application fee once again. If you fail, the CSR/DPS agencies will let you know retake the driver's license test three times before you have to apply again for your permit and retake the driver's education course. You will be informed if you passed or failed the test, and you will receive detailed feedback on the areas where you did well and the areas where you need to improve. If you do not pass the driving test, your application will be held in the driver license office for 90 days. After 90 days - or three failed tests - file a new application and fee must be submitted once again.